When you sign up for a free school management software demo, you are under no obligation to purchase our software. However, we feel that you’ll see the benefits of using eduWare School Management System that you’ll be excited to invest in our software and implement it as part of your school management system. Before purchase the any software must try to see the demo version of the software. After you spend time using the school management software demo, you have two choices for making a purchase. You can invest for six months, or one year. Each plan offers you full use of the system, including an unlimited number of users and students. We also offer free web hosting for your school’s website. Our school management software offers all of the components you need to effectively manage a large or small school. It is a comprehensive school management software and an educational platform for private and government schools to advance their education system. 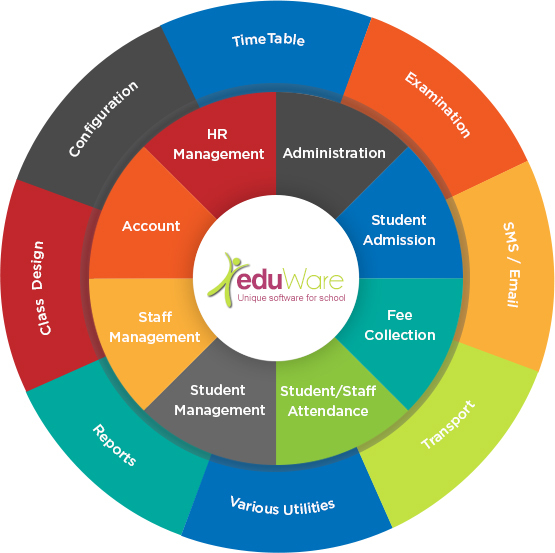 eduWare software connects each department of the school so as to provide them with better information sharing, easy retrieval of information, which proves helpful for school management to take prompt decision. It is user-friendly software that allows smooth flow of information within the school administrative department.